Skin needling, also called Microneedling Therapy or Collagen Induction Therapy (CIT), is an exciting new skin rejuvenation treatment that achieves dramatic results with minimal discomfort or downtime. This is a fantastic and simple method that’s suitable for a variety of skin concerns, including hyper pigmentation, ageing, sun damage, acne, scarring and more. It is suitable for all skin types and can be performed on the face, neck, décolletage, body and even hands. Dermapen uses the latest technology in skin needling and the treatment involves the use of a surgical grade device that glides tiny oscillating micro needles ranging from 0.25 mm to 2.5mm in length. The needles create tiny microscopic wounds that trigger the body to produce new collagen and elastin to plump and rejuvenate skin. The treatment itself is quick and offers less down time than deep chemical peels or laser. What is the difference between Derma Rollers and Dermapen? When compared to traditional dermal rollers, Dermapen causes less damage to the epidermis (surface layer of the skin), reducing discomfort levels and post treatment downtime. As a result, the Dermapen is a safer, more comfortable treatment that is also much more effective. As the Dermapen is more advanced and comes complete with adjustable needle depth it allows for a fully customised treatment for each individual. What Downtime is There After My Treatment? Minimal downtime is to be expected with some redness experienced the day of the treatment, and sometimes the day after. Normal activities can be resumed the next day and a breathable camouflage can be applied to minimise any redness. This varies between each client, the concern you are treating and the results you want to achieve. Anywhere from four to eight treatments are usually recommended, with the time between treatments varying from two to six weeks. As a special introductory offer, our Dermapen Collagen Induction Treatment is currently $250 per treatment, normally $385. 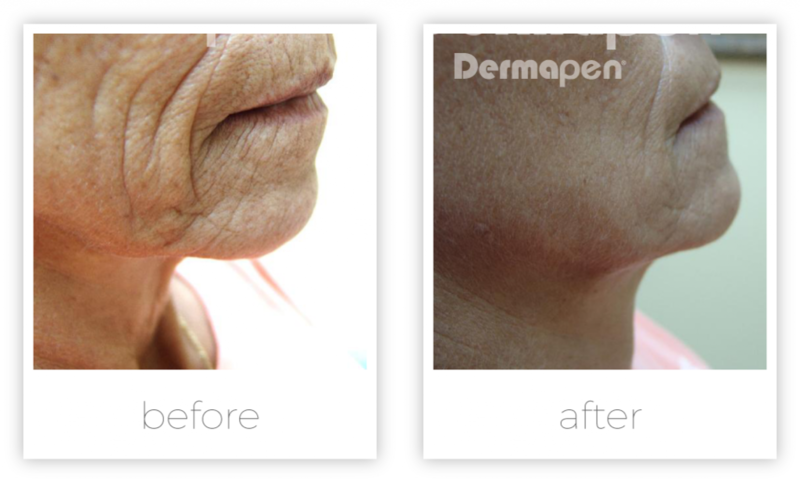 To make the most of this special or to find out what results you can achieve with Dermapen, call us on 9245 8188.